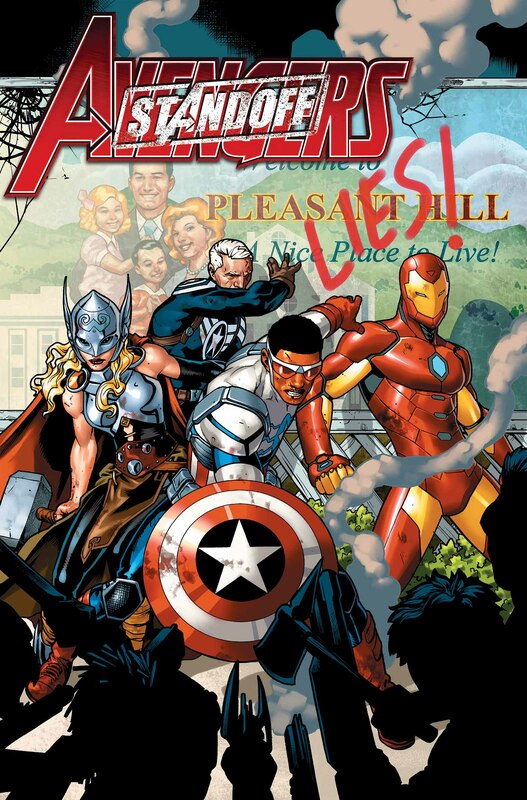 Earth’s Mightiest Heroes Unite in AVENGERS STANDOFF: ASSAULT ON PLEASANT HILL ALPHA #1! Don’t miss the exciting kickoff this March in AVENGERS STANDOFF: ASSAULT ON PLEASANT HILL #1. Then, follow along as the story continues in the pages of All-New, All-Different Avengers, Uncanny Avengers, New Avengers, Captain America: Sam Wilson, Agents of S.H.I.E.L.D., Illuminati and Ultimates!